Manufacturing of Gear Shaving Cutters such as Conventional, Diagonal, Underpass and Plungecut is undertaken by SHB. Materials used for Shaving Cutters includes M35 and M2 as well as Powder Metallurgy High Speed Steels. Manufacturing as well as Resharpening of shaving cutters is being earned out on CNC Gear Shaving Cutter Grinding Machine. Manufacturing of Gear Shaving Cutters such as Conventional, Diagonal, Underpass and Plunge cut is undertaken by SHB. Materials used for Shaving Cutters includes M35 and M2 as well as Powder Metallurgy High Speed Steels. We are engaged in offering a wide variety of Gear Shaving Cutter (GSS-01). 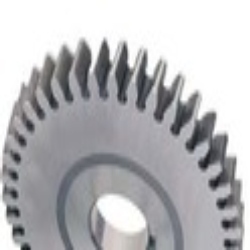 Being used for shaving and finishing of gears they are in soaring demand in the market. Our entire range of shaving cutters is available in various modules as per the requirements of our clients at competitive prices. Our CAD/CAM design facilities make sure the compatibility of shaving cutters along with pr-shaved tool for better contact and to achieve required true involute form diameters of the gears. - From 1.5 to 10 module. - Wide range of sizes. - Customized as per clients specifications. - We manufacture all type of Shaving Cutters - Conventional, Diagonal, Underpass & Plunge cut with profile modification such as lead and involute crowning. The Shaving Cutters can be supplied with or without coating as per clientï¿½s requirements. 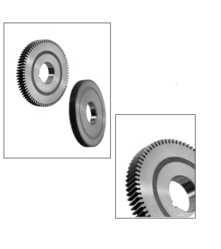 we are one of the leading supplier of Precision Gear Cutting Tools. Since then company has made rapid strides by adding new products and simultaneously upgrading the existing facilities. With the aid of our experienced team, we are devoted towards manufacturing an exquisite range of Gear Shaving Cutter. In order to keep pace with never ending demands of clients, our company offers Gear Shaving Cutter (HSS Milling Cutter or Shaving cutter ).